This is a great opportunity to discover how the farm is run. You will find out how it was first conceived, how it developed and you will learn about the various constructions and plantations. 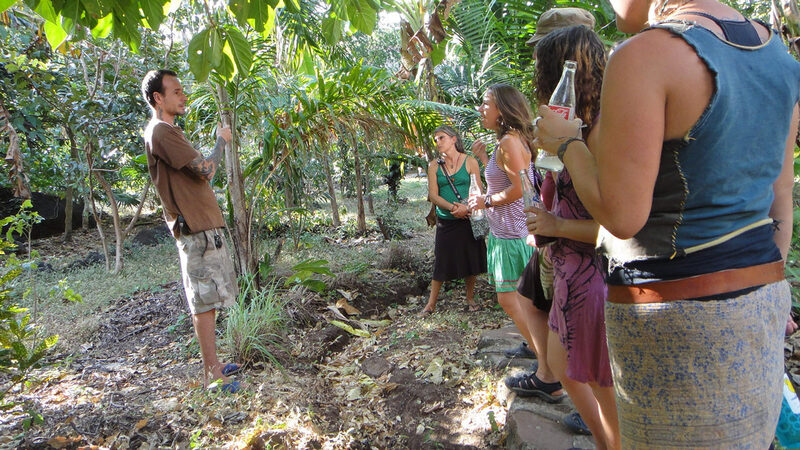 It is fascinating to learn how, following the permaculture principle, a dry, arid land became an explosion of lush green plants, with flowers, vegetation and animals of all sorts. All of this thanks to the principles of Permaculture. Either Cristiano or Daniele will supervise this tour.